The resort was designed with only locally sourced, recycled and sustainable materials to innovative environmental standards. An unbelievably trendy and tranquil cliff top hotel with panoramic views, indulgent spa and wonderful cuisine. 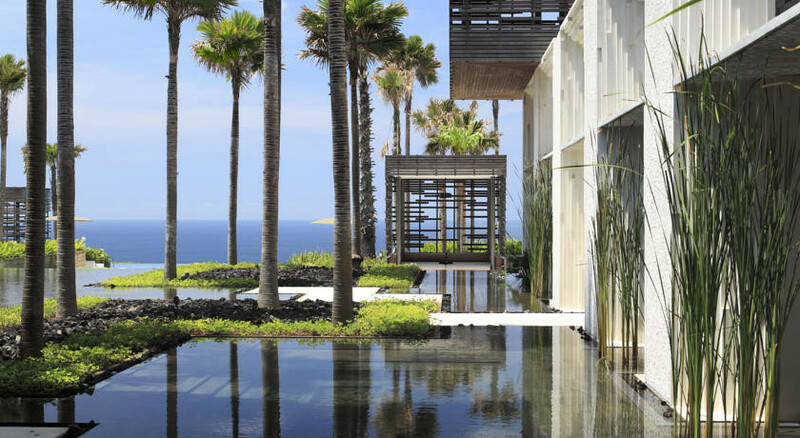 Private butlers ready to answer your every whim, miles of sandy beaches, and gloriously indulgent villas. 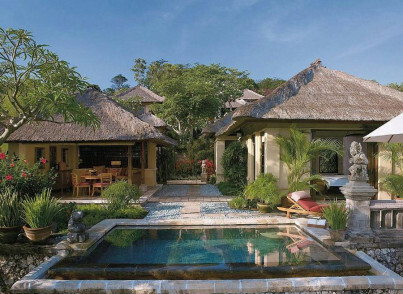 Trips to the Jimbaran Fish Market and Indonesian cooking classes are on offer. Rise early and partake in the morning yoga class, the only way to start your day. Head to Bali National Golf Club, a world class 18 hole course. Make sure you try your hand at surfing on the famed Uluwatu beaches. Visit the spectacular cliff top temple Pura Luhur- you'll be rewarded with unforgetable views. 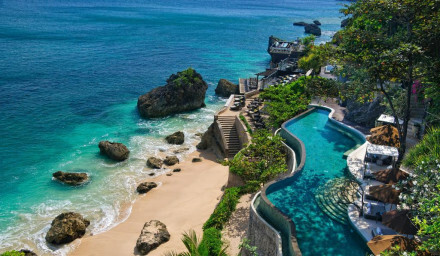 "Poised on 100-metre high cliffs on the Bukit Peninsula, the Alila Villas Uluwatu is one of the most visually-striking hotels in the world."